The FreeP Film Festival Kicks Off This Week! As much as I love being entertained by the drunk and disorderly every Corktown Parade Day, St. Patrick's Day and weekend before, this year I've decided to take the crazy from an 11 to say a 5 this holiday season. Call me lame, accuse me of not getting into the holiday spirit, whatever. This Irish Lass just wants to enjoy her Guinness with Strongbow in peace, without the occasional ducking from airborne beer bottles (Parade Day 2010, Corktown Tavern), dogging the "Old vs. Young" Cat Fight while walking down Michigan Avenue (Parade Day 2011), or running into Charlie LeDuff post fistacuffs (Parade Day 2013) . I do not believe I am alone in my sentiments, so I made the list below for all to enjoy. Now I cannot guarantee with 100% accuracy that you will avoid being nailed in the eye by a swinging jager cup necklace while someone is in mid face plant or finally experiencing that seizure you have always wanted to have due to all those blinking beaded medallions, but I can guarantee you they will greatly lessen your chances by bellying up to the bar at the choice locations below. I also know realistically that at some point you and your friends might get a craving for some choice people watching only supplied on this festive occasion, so I have listed with each location a place just a hop skip and a jump away that will satisfy that visual starvation. Just keep your eyes peeled for the *. You are killing two birds (or snakes?) with one stone. I celebrated St. Paddy's Day 2012 here and could not begin to tell you how many times I've been back. 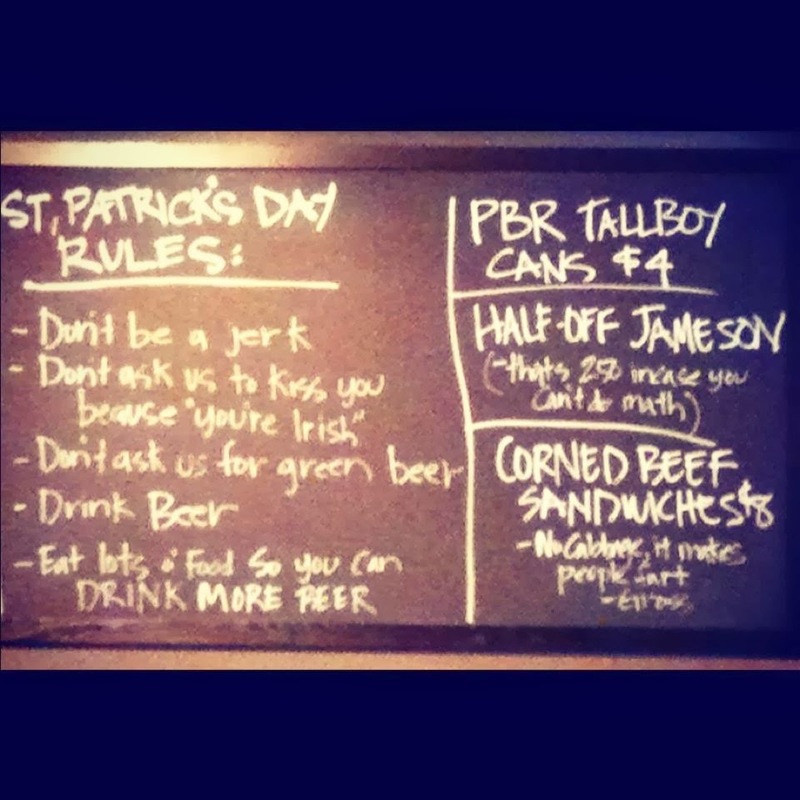 Budweiser, Coors, Miller, AND Green Beer have never sat behind the bar together and slurred "I loooove you man" to each other, which gives a high probability of avoiding the Ed Hardy and Tramp Stamp Dynamic Duos. Only quality beers, whiskey, and bourbon are served. The food is ahhhhh-mazing. How many bars do you know of that have an hour wait by 6:30 on a Friday or Saturday night? This one does and you can blame in on Emmele Herrold, One Eyed Betty's chef and winner of Detroit Burger Brawl 2013. So your stomachs will be taken care of, I promise. Also, check out the progress on the bottle cap mural while you are sipping on that pour of Jameson. This will be the first St. Patrick's Day for Thomas MaGee's, opening just a few months ago in Eastern Market. This bar is beautiful inside, very low key, and is stocked with some of the finest beer and whiskey in town. Plus, plenty of parking outside. The owner was quoted in a recent Detroit News article stating, “There’s an influx of people moving into this area from the suburbs, from other areas of the state, from other cities, who are now Detroiters. Sometimes they get trapped into the bubble of ‘Gilbert-ville’ or amazing hipster land, but I think there’s a good percentage of those people, if they cross out of that box and come to a place like this, that solidifies this rebirth and rebuilding of Detroit.” Looks like you will be safe from fall down drunks and Hipsters. That's one winning combination. Thomas MaGee's usually does not serve food, but for St. Patrick's Day 2014, they are hosting the first annual "Eggs & Kegs." Doors open at 7 a.m. Breakfast until 10 am . Early riser beer specials: $1 beer from 7 a.m. to 8 a.m. $2 beer from 8 a.m.-9 a.m. and $3 beer from 9 a.m. to 10 a.m. Important Note: Ignore the location pin on Google Maps. Thomas MaGee's is located on the corner of the E. Fisher Service Drive (south side) and Russell Street, not next to the pole dancing studio. I have spent quite a few St. Patrick's Days here and I've been satisfied with each and every single one. This place does it right, from the drinks to the food to the live Irish Band. You cannot go wrong here. It is also one of the few places that has a great mix of people, young and old, celebrating together. There's a good chance you will run into your grandparents, but you can drink and eat safely here in good 'ol Berkley. 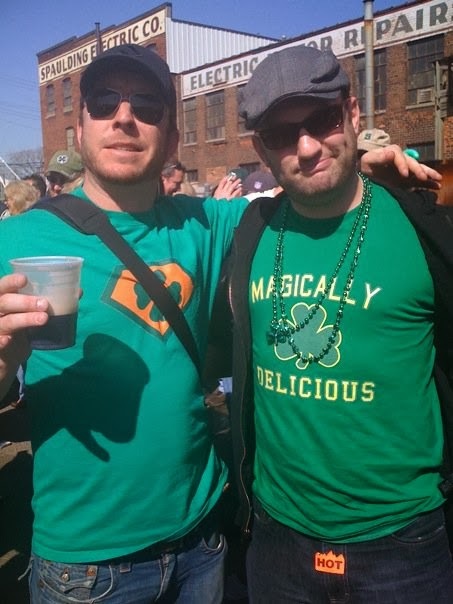 This was a random find St. Patrick's Day 2010. My friend Josh grew up on that side of town and swore this was the place to go. So we ditched Nemo's tent and headed west. We were greeted at the door with a bagpiper mid song and walked into a full on St. Patrick's Day extravaganza. The staff was great and super friendly, place was just entertaining enough, and the food was out of this world. They also serve Johnny Walker Blue Label, so you know it's a classy joint. The Gaelic League of Detroit is located in Corktown and is an Irish-American club dedicated to promoting and preserving Irish Culture and Tradition in the Detroit Area. Translation: This is the real deal, folks. Authentic Irish fare, booze, and people! Important Note: They only take cash and do not have an ATM. 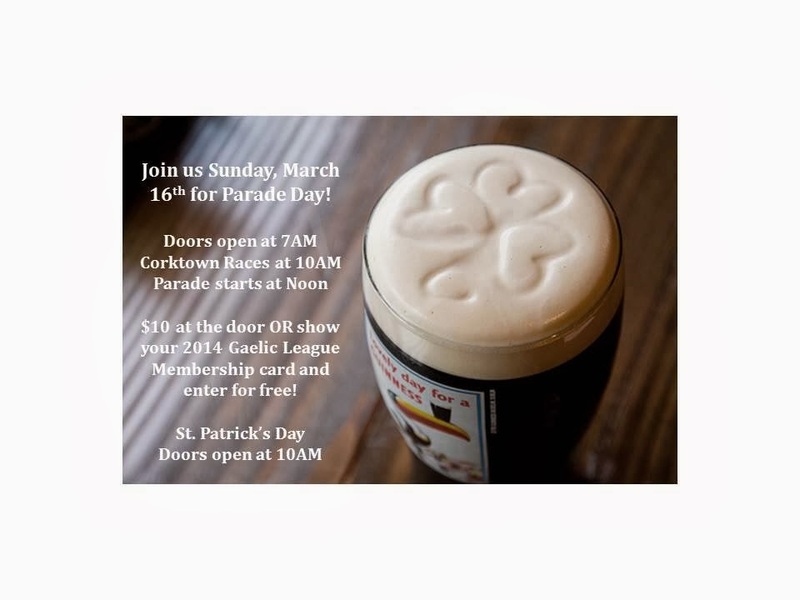 The Gaelic League will have an ATM machine on Parade Day and St. Patrick's Day.